126 dia, fits a 98mm hole. Fits through a 98mm hole. Eight, countersunk 5mm fixing holes on a 108mm PCD. 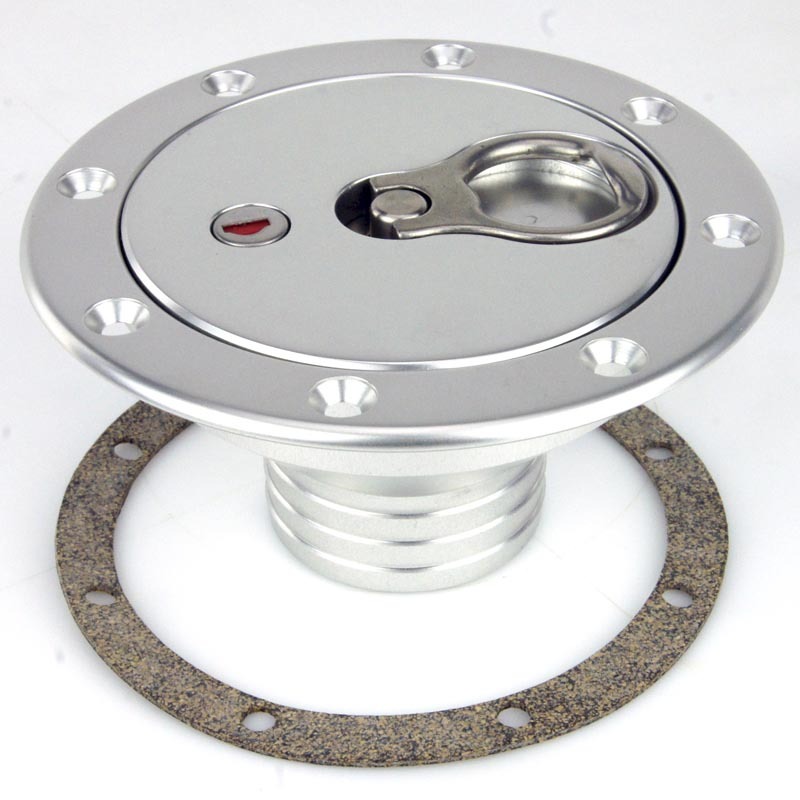 Cork gasket, two keys and Stainless fixing pack included. Use with #FN2 to fit to your body. Or fit direct to tank. Fits through a 62mm hole. Integral 2-stage neck 51mm (2") and 57mm (2 1/4"). Fits into a 62mm hole direct on tank. Fits through a 62mm hole direct on tank. Fits through a 51mm (2") hole. Or use on its own direct to tank. 94mm dia. fits in a 62mm hole. Stepped 51mm and 58mm neck. Fits through a 57mm hole. 139 dia. fits a 106mm hole direct on tank.